Nonprofit organizations interested in applying for a Sunday’s Child 2019 grant must submit a Letter of Intent to Apply (LOI) online by February 15, 2019. LOIs are reviewed to verify each organization’s eligibility to apply for a grant. 1. Tax-exempt Public Charity under IRS Code 501(c)(3): Current listing on IRS Tax Charity Search and copy of Department of Treasury Letter of Determination granting the organization's status as a tax-exempt public charity under IRS Code 501(c)(3). 2. Florida Department of Agriculture and Consumer Services (FDACS): Registered to solicit contributions and annual report is current. 3. Florida Department of State, Division of Corporations: Registered to do business in Florida and 2019 annual report filed. For links and more information listed see below. Current registration to solicit contributions. Florida Department of Agriculture and Consumer Services (FDACS): Registered to solicit contributions and annual report is current. 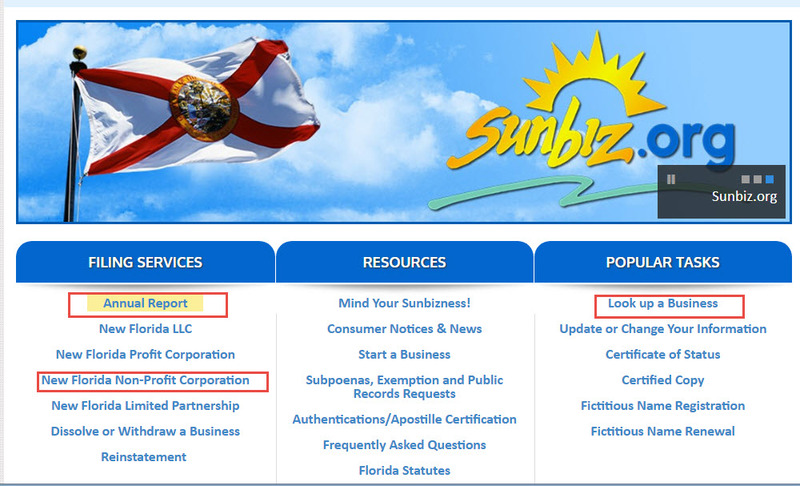 Florida Department of State, Division of Corporations: Registered to do business in Florida and 2019 annual report filed.